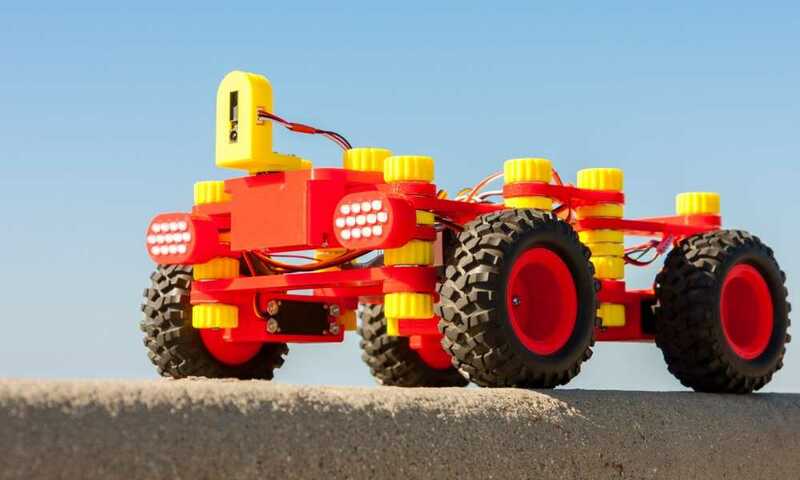 Are you looking for a gift for your child who’s shown an interest in robotics? Is your teenage son or daughter very much into electronics? Or are you interested in robots that you would want to build your own? Then you should consider getting the OWI Robotic Arm Edge. 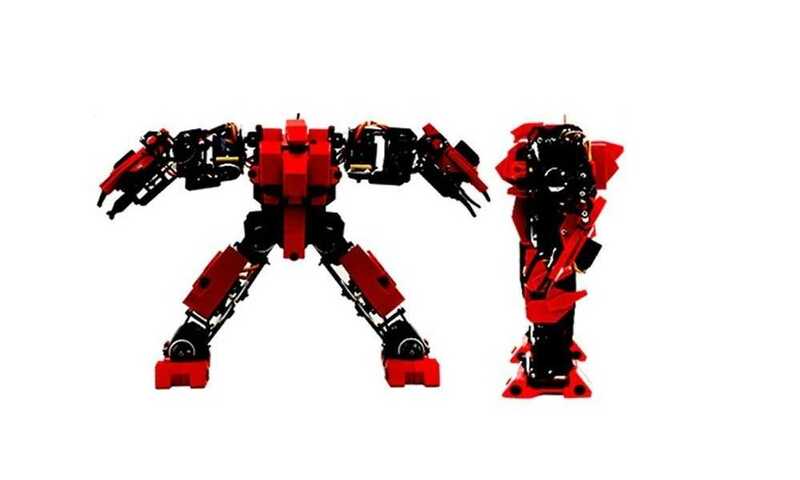 This is an intermediate robot kit from OWI Robotics. 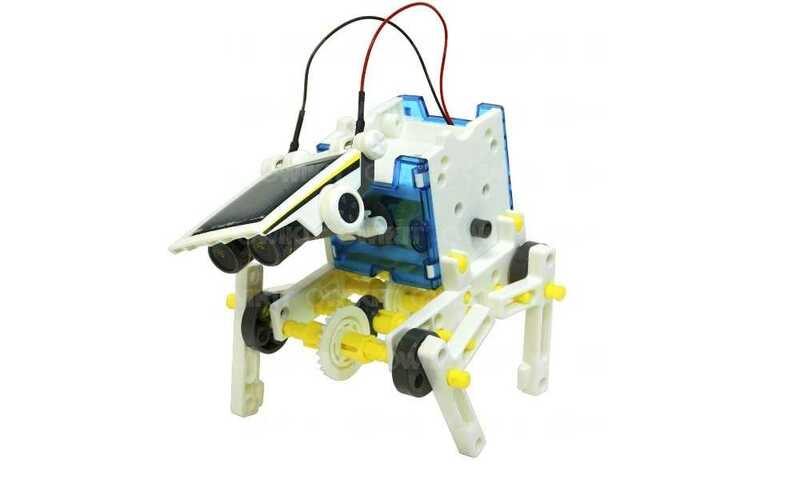 OWI is a reputable line of educational robotic kits. 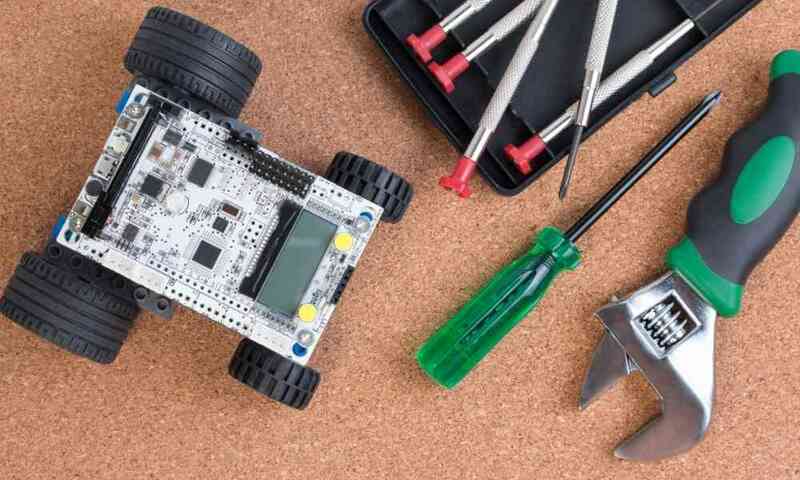 This kit can get you or your child started in basic robotics, electronics, and mechanics. The robotic arm gripper closes and opens. It can lift light weight items weighing 100 grams below, like an empty can of soda and a big screwdriver. 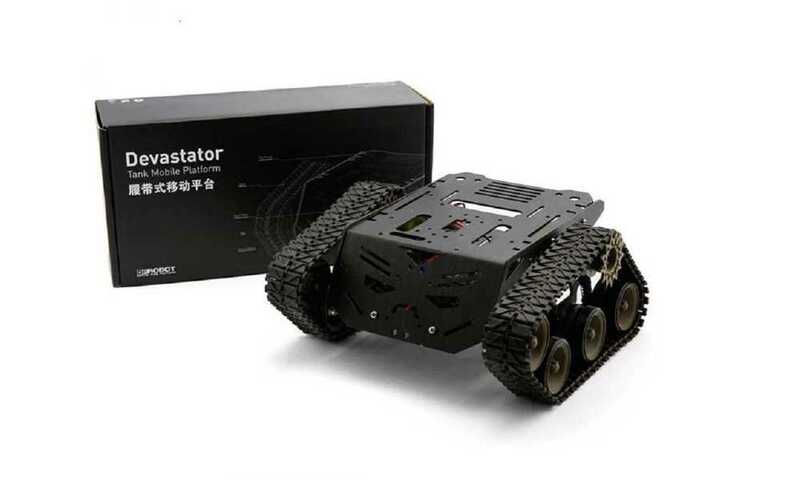 You can also expand the capabilities of this robot with a USB interface cable and software, which is not included in the package. And don’t worry about the price, as this is relatively affordable. You should be able to have hours of fun with this robotic arm. 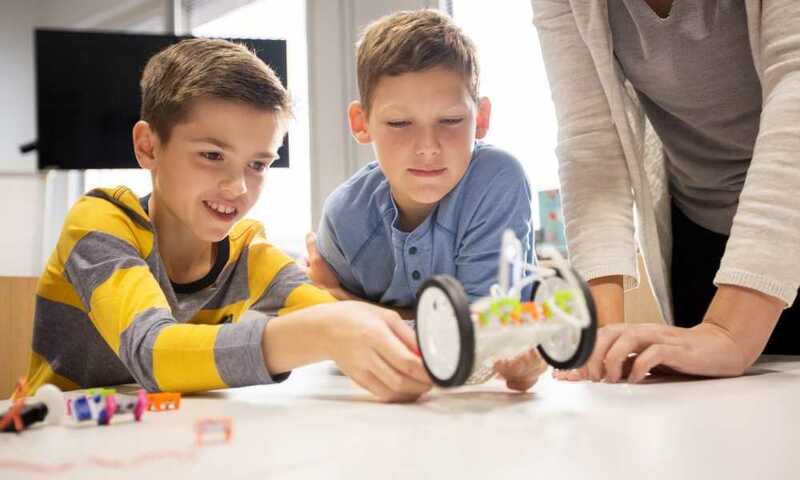 And your child can get started on the basics of robotics, which would bode well for your future engineer or programmer. There are many robot kits that can be compared with the OWI Robotic arm edge, like the OWI Hydraulic Arm edge. Both robot arms have a gripper that can open and close, with wrists, base, and elbows that can rotate as well. 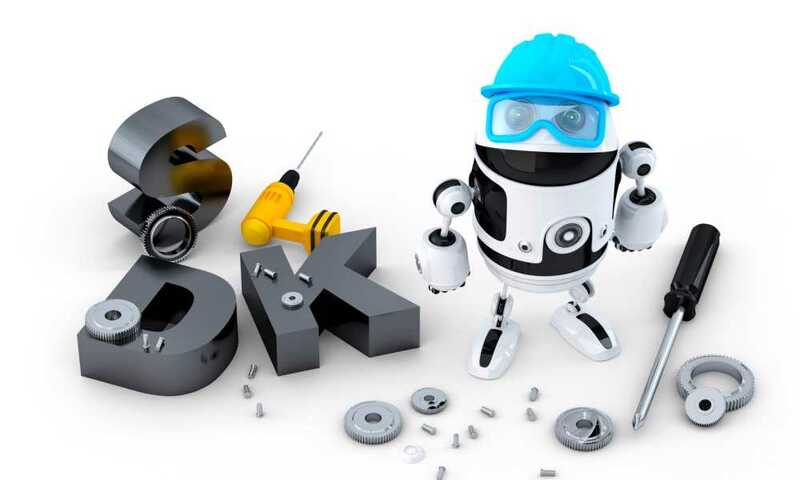 Both robots are also easy to assemble, capable of lifting small items, and have very reasonable price tags. However, the OWI Hydraulic Arm Edge doesn’t require batteries or electricity to move unlike the OWI Robotic Arm edge as it makes use of hydro mechanical technology to move. Another product that is very similar to the OWI Hydraulic Arm Edge is the MeArm DIY Robot Arm Kit With MeCon Pro Motion Control Software and Arduino Source Code. Both are robotic arms that can lift small items like spoons and empty soda cans. 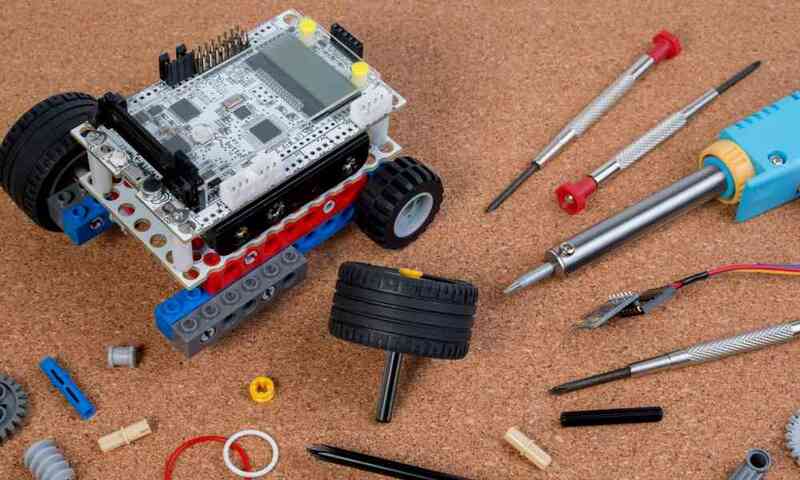 Both are also educational toys that can teach children the basics of robotics and programming. However, the MeArm DIY Robot Arm Kit With MeCon Pro Motion Control Software and Arduino Source Code isn’t the easiest to build. A lot of reviews on Amazon.com indicate that the instructions of the said kit are vague and difficult to follow. The said kit also has pieces that are said to be of poor quality or easily gets damaged. 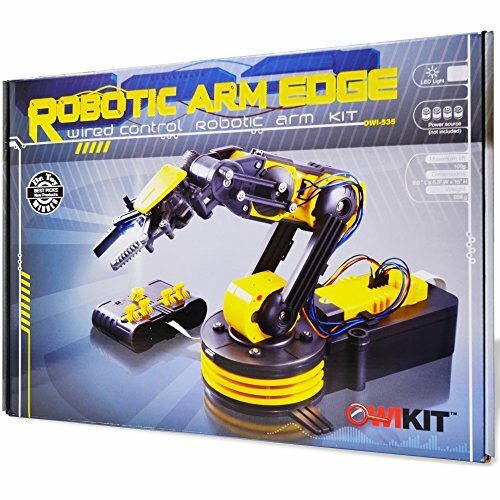 Simply put, the OWI robotic arm edge is a highly recommended, intermediate robot kit for children aged 10 years and above. 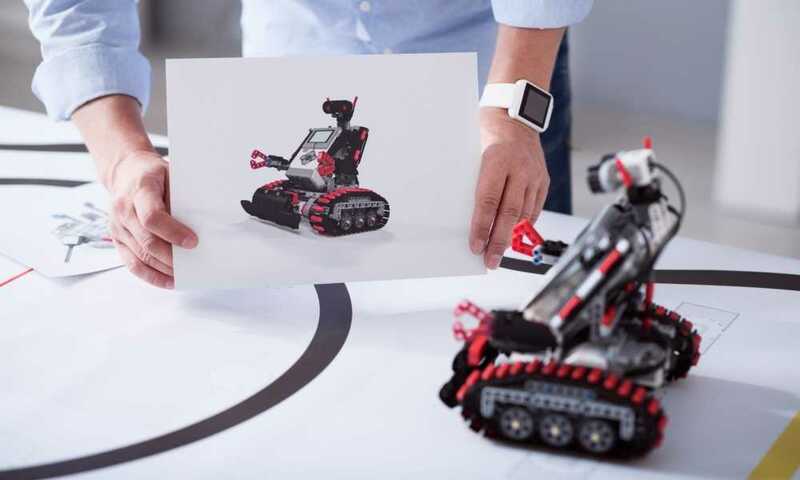 This is a great robot kit for children, teens, and even adults who have an interest in robots and electronics, and would want to build their own robots. It is relatively easy to assemble, especially for those who have some background in electronics. It is also fun to play with, particularly for children. And adults won’t think twice parting with their hard-earned money for this robot kit as it is very reasonably priced.